 Postscript and foreword by Jacques Servais, S.J. 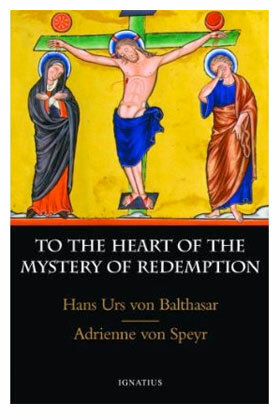 Hans Urs von Balthasar (1905-88) was a Swiss theologian, considered to be one of the most important Catholic intellectuals and writers of the twentieth century. Incredibly prolific and diverse, he wrote over one hundred books and hundreds of articles. He studied at universities in Vienna, Berlin, and Zurich and his doctorate was completed in 1928. His dissertation was titled "The History of the Eschatological Problem in Modern German Literature." The following year he entered the Society of Jesus. Having studied theology and philosophy for several years, Balthasar was attracted to the work of Erich Przywara (d. 1972) and Henri de Lubac (d. 1991). Tired of the prevalent neo-scholasticism of his day, Balthasar was drawn to the spirituality-theology of the Church Fathers. Along with de Lubac, Jean Daniélou, and other Continental theologians, he would work to return to the Scriptures and patristics as primary theological sources. In 1940 he was offered a teaching position in Rome, but chose to go to Basel and be a chaplain for students. There he met the mystic Adrienne von Speyr (1902-67); she would become a Catholic under his spiritual direction. Her writing became a major source of inspiration for his writing and he insisted that her work could not be separated from his own. Together they founded the Community of St. John, a "secular institute." In 1950 he left the Jesuits; in 1972 he formed Communio International Catholic Review with Daniélou, de Lubac, and Joseph Ratzinger. From 1961-87 he produced his most important work, a trilogy published in fifteen volumes: The Glory of the Lord, Theo-Drama, and Theo-Logic. After many years of fighting illness and exhaustion, Balthasar died on June 26, 1988, one day before he was to be made a cardinal by Pope John Paul II. The Holy Father wrote: "All who knew the priest, von Balthasar, are shocked, and grieve over the loss of a great son of the Church, an outstanding man of theology and of the arts, who deserves a special place of honor in contemporary ecclesiastical and cultural life." He was said, by Henri de Lubac, to be "perhaps the most cultured man of our time." Karl Rahner described his achievements as "really breathtaking." His works include over a thousand books and articles. At one point he was able to give away his stereo and records since, he said, he had all the works of Mozart memorized anyway. And it is my guess that history may well find him to be one of the most important theologians of the 20th century. "A Witness of Christ in the Church: Hans Urs von Balthasar," which is a chapter from The Church: Paradox and Mystery, by Henri de Lubac, S.J., is an excellent introduction to Balthasars theological work and vision. Several dozen links to articles about Balthasars life and work can be found on this page over at www.ratzingerfanclub.com. You can read online the Preface and Chapter XII, " The Conquest of the Bride," from Balthasars Heart of the World (the first Balthasar book published by Ignatius Press, in 1979). Love Alone Is Credible is a distillation in many ways of von Balthasars masterwork, The Glory of the Lord, in which the great theologian used the term "theological aesthetic" to describe what he believed to the most accurate method of interpreting the concept of divine love, as opposed to approaches founded on historical or scientific grounds. In Love Alone Is Credible, von Balthasar delves deeper into this exploration of what love means, what makes the divine love of God, and how we must become lovers of God in the footsteps of saints like Francis de Sales, John of the Cross and Therese of Lisieux. An excellent examination of Balthasar's thinking is Hans Urs von Balthasar: His Life and Work, edited by David L.Schindler. This collection of essays, gathered under the auspices of Communio editors, represents the most wide-ranging study of the life and work of Balthasar. The twenty contributors include highly respected theologians, philosophers and bishops from around the world such as Henri Cardinal de Lubac, S.J., Walter Kasper, Louis Dupre, Joseph Cardinal Ratzinger, and Pope John Paul II. 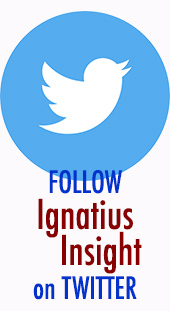 Ignatius Press has been the predominant publisher of Hans Urs von Balthasars writings in English, having published over sixty of his books.  Dare We Hope "That All Men Be Saved"?  Does Jesus Know Us?